If we've learned anything from the Ghostbusters movie, it's that every girl has what it takes to be a Ghostbuster—she just needs the guts to stand up to any paranormal ghosties that try to threaten her city. Of course, we also learned that Kevin has no idea what the heck he's done. The guy seriously needs some sort of remedial run-through on how to use a telephone. Erin might seem like a book-worm, but she's got some hidden courage inside her. Abby has the tenacity to stick with her convictions, no matter what. Patty knows how to keep calm when a giant ghost is hanging out on her shoulders. And Jillian? Well, she's the crazy wild-card that every group truly needs. Despite being wildly different, each girl has her own special skill that she brings to the group. Now, with this licensed Ghostbusters costume, you can bring your own unique benefits to the group! This plus size Ghostbusters costume comes straight from the 2016 blockbuster starring Kristen Wiig and Melissa McCarthy. 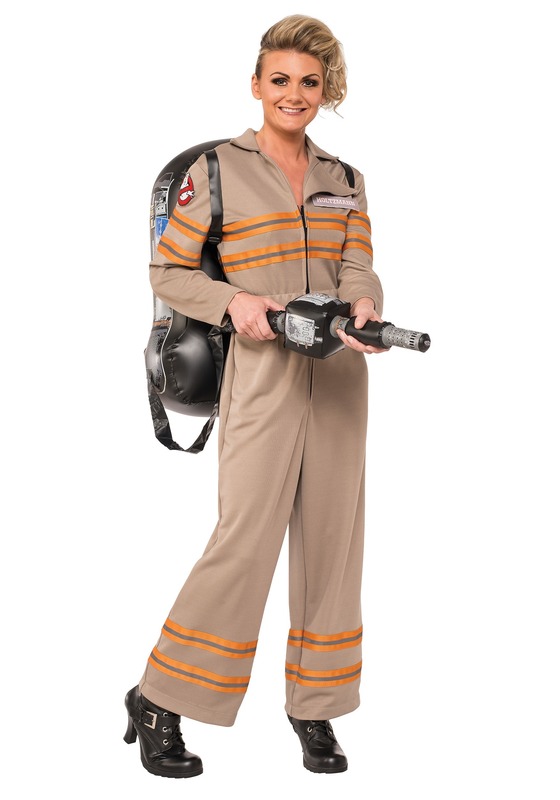 The costume comes with the jumpsuit seen in the movies, complete with the Ghostbusters patch on the shoulder. 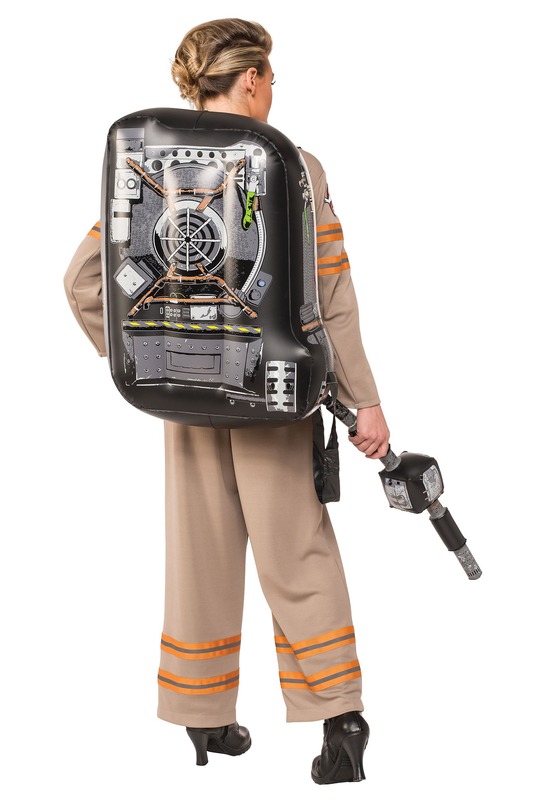 The costume also includes an inflatable “proton pack” like the one seen movie. (As it turns out, selling an item that can shoot a charged particle beam is not only highly dangerous but also a wee bit illegal.) Just gather up three of your friends, rent an office next to Chinese restaurant, and you'll be all set to bust a few ghosts before bedtime.